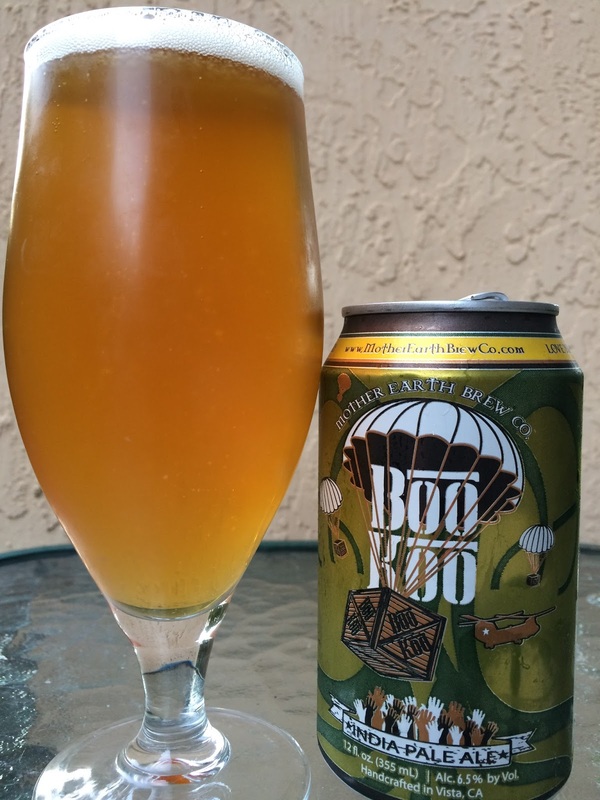 I had a sampler at Brass Tap a few months ago that included Mother Earth's Boo Koo India Pale Ale. Since my first impressions were very good, I decided to check it out again when I saw a can at my local liquor store yesterday. 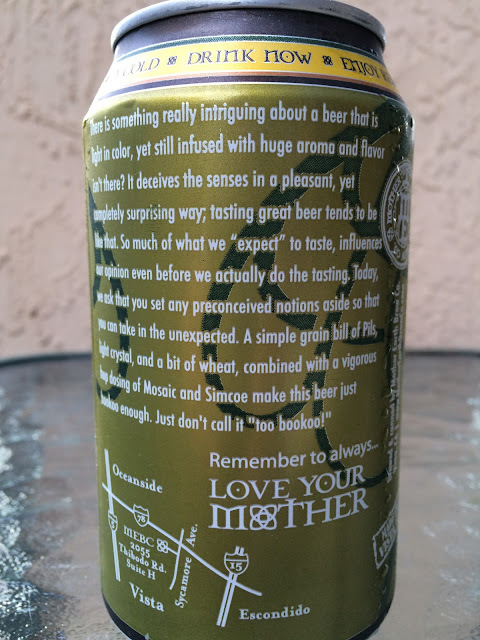 Obviously a play on the French word beaucoup, the story on the back of the can lets you know why this is "bookoo enough. Just don't call it too bookoo!" Smells great, full of both citrus and tropical fruit. Great hoppy bitterness right from the start. Grapefruit and tangerine citrus dominate with some spicy, piney bitterness also showing, especially at the finish and lingering into the aftertaste. Some sweet orange and hints of pineapple add some balance. Excellent! Very flavorful and enjoyable.